Apartment in Palermo Soho, Buenos Aires - White Loft ! 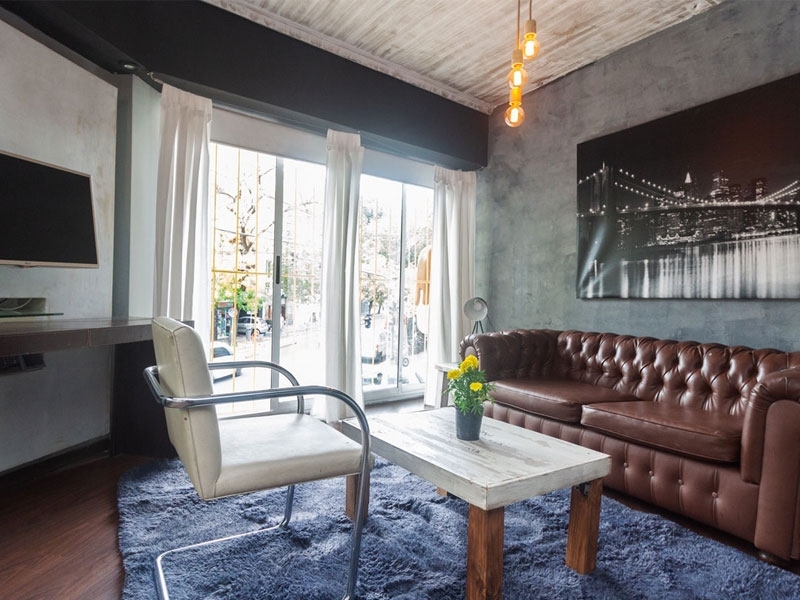 Swish 600 square feet apartment in Palermo Soho with ensuite bathroom and hot tub, furnished and decorated in neutral tones. A perfect escape when you need a break from the bright city lights of Buenos Aires! 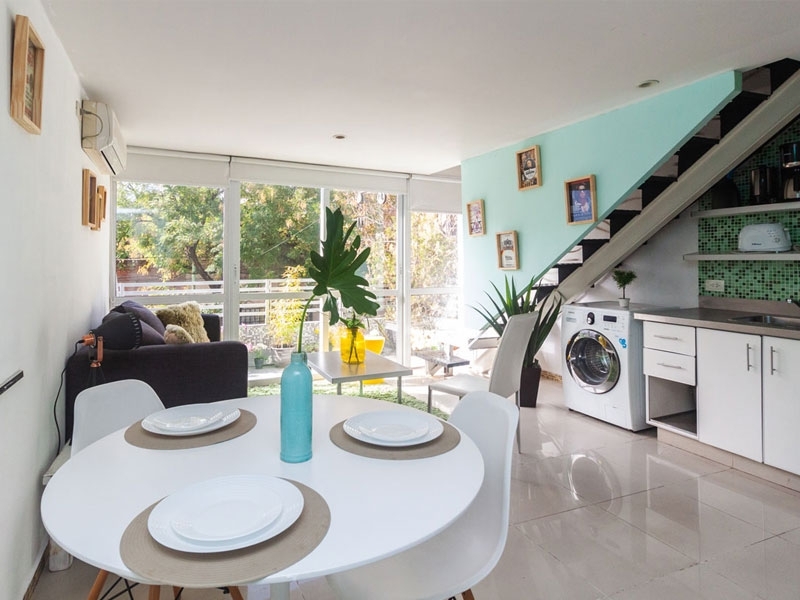 You cannot go wrong with this one bedroom Home, it has all of the amenities of a luxury hotel but with the convenience of having your very own private space for your time in Buenos Aires. This apartment is set in the same building as Camel, Blue, Violet, Red and Orange Lofts, so it is also ideal for a group of friends or work colleagues looking to share a vacation or work assignment while still having your own privacy and space – A great alternative to a hotel room!